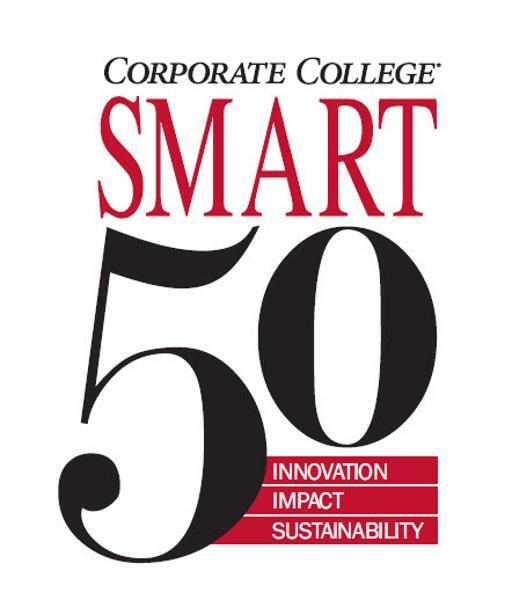 Corporate College is honored to partner with Smart Business to present the Corporate College Smart 50 Awards to celebrate and recognize Northeast Ohio’s top executives for their ability to effectively build and lead innovative and “smart” organizations. All the honorees make a difference in their organizations and the region in many ways, including innovation, impact on employment and business sustainability. These large, midsized and emerging companies have leaders who motivate and inspire people. They have a passion for what they do and are committed to unsurpassed customer service. The executives we celebrate are able to tackle unique business challenges and to continue to lead their organization on a path to success. On behalf of Corporate College, congratulation to the members of the Corporate College Smart 50, presented by Smart Business.